An artist rendering depicts a Boeing 737 MAX 9. 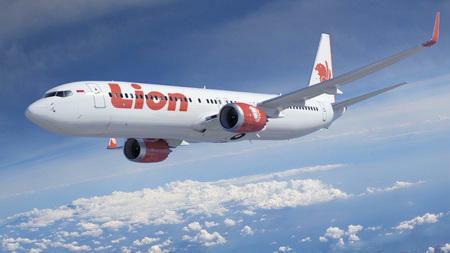 Lion Air of Indonesia has agreed to become the first commercial customer for the plane. When your products sell for more than $80 million, selling one of them is a big deal. Selling hundreds of them in one deal means they're probably feeling pretty good over at Boeing right now. The aircraft company has finalized a deal to sell 230 jets to Lion Air of Indonesia, with a total list price of $22.4 billion — a record for Chicago-based Boeing. The deal, which was first announced in November during President Obama's multi-country tour of Asia, includes 201 737 MAX jets and 29 of Boeing's extended range 737-900ERs. When the sale was first agreed upon, Boeing rival Airbus Industries "accused the United States of applying political pressure to secure the deal," as Reuters reports. In a statement, Boeing touts its plane's ability to lower fuel costs: "Airlines operating the 737 MAX will see a 10-12 percent fuel burn improvement over today's most fuel efficient single-aisle airplanes and a 7 percent operating cost per seat advantage over tomorrow's competition." The sale, which will be paid off over a 12-year period, according to the AP, gives Boeing a needed boost in its competition with Airbus. Last year, the European aircraft maker reported more than 1,400 plane orders, driven by demand for its fuel-efficient A-320 aircraft. In contrast, Boeing sold only about 800 aircraft last year.